Did I mention our lot is mostly wetland? Designated, that is. It made the planning/purchasing process longer as we had to get extra surveying, Army Corps permission and the help of wetland specialists. And yes, there is plenty of water. Water and potrock. 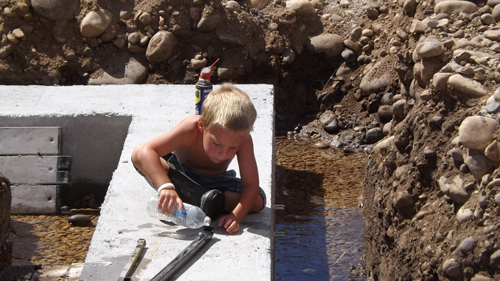 Paul, John & Tyson had the footings dug, and Lance Excavating had dug through pot rock all week for the water line. The designer, explorer, and I went to check everything out on Labor Day…since there had been rain. 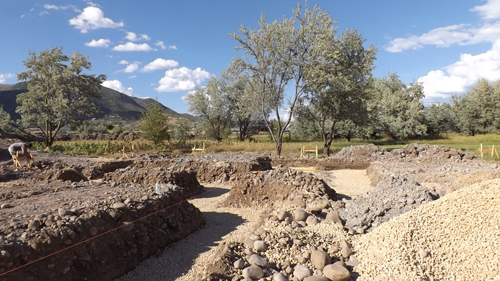 We arrived to find the water trench full…as well as around the poured footings and…the footings waiting to be poured. 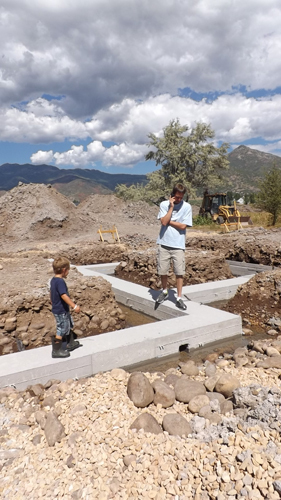 The designer called Paul the builder (as we now call him…to differentiate between he and Uncle Paul), who was swimming with grandkiddos in Idaho (as he should be on Labor Day). 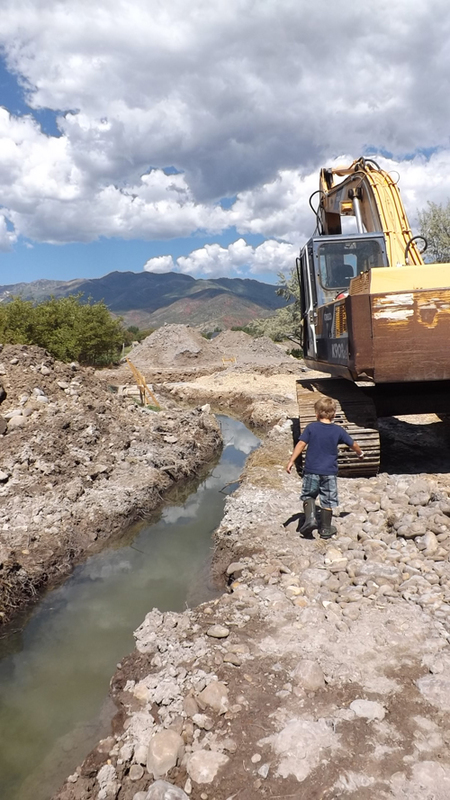 We got the go-ahead to pump out whatever water we could before they arrived the next day. Of course the explorer was in heaven as the designer and I worked. It is a playground for little boys. He made the best of his time and enjoyed himself immensely. It was nice for us to only keep an eye on one little. 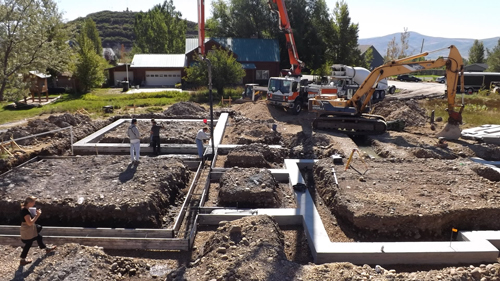 The next day, Paul and the guys were back to finish the rest of the footings…there he is in the middle pouring in the concrete. 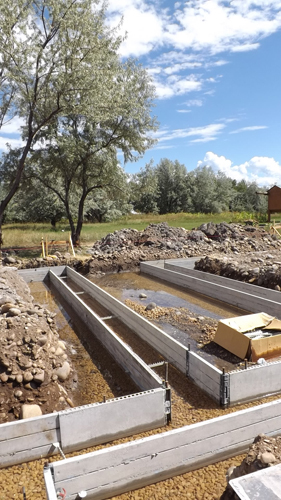 Thanks to the very large berms on the edges of the property…we can get a great birds-eye-view of the future home. thx for enjoying it Sophie! Oh my goodness. The scenery is AMAZING! Great progress. I’m so happy for youj!